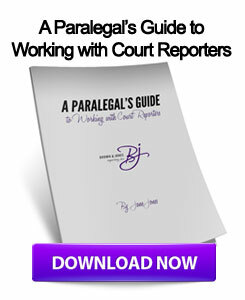 The importance of realtime court reporting cannot be understated. Trial proceedings and depositions need to be properly tracked, and not knowing what was said can be highly detrimental to a case's outcome. Additionally, when it comes to witness testimony, courts must be diligent in keeping track of what was said. Take for example, one recent Wisconsin court case that was heavily reliant on expert witness testimony. A former student sued Carthage College in Kenosha for negligence after she was sexually assaulted in her dorm room. Dr. Daniel Kennedy was to testify to the school's security deficiencies. At first, the U.S. District Court for the Eastern District of Wisconsin excluded his testimony. However, the U.S. Court of Appeals for the Seventh Circuit vacated the judgment and remanded the case, citing Wisconsin law. The state law says that allegations of negligence require a party to establish a duty of care. Furthermore, an expert witness is to be qualified by "knowledge, skill, experience, training or education." "Dr. Kennedy's general testimony about the IACLEA security standards is admissible, as is his more specific testimony faulting the lack of a prop alarm on the basement door of Tarble Hall," Judge Diane Sykes wrote in the decision. Additionally, the appeals court disagreed with the prior decision of Kennedy's testimony being unreliable. Previously, it was decided that he did not follow a reliable methodology in reaching his conclusions, however, the appeals court thought otherwise. Witness testimony is critical, and can often push a case one way or another. 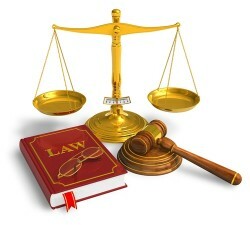 Once a court deems the evidence admissible, it is essential that the information is not misrepresented. With certified Wisconsin court reporters, the testimony will be accurately recorded, without a question of what was said. This entry was posted on Monday, April 29th, 2013 at 10:16 am	and is filed under All Posts, Wisconsin Legal. You can follow any responses to this entry through the RSS 2.0 feed. You can skip to the end and leave a response. Pinging is currently not allowed.